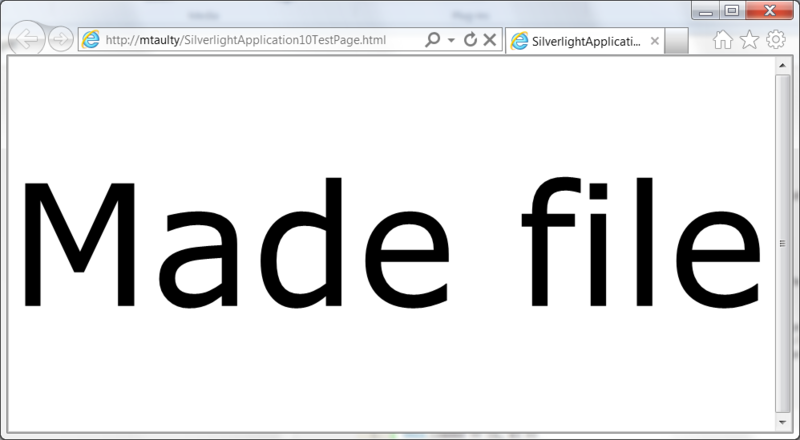 Note: these are early notes based on some initial experiments with the Silverlight 5 beta, apply a pinch of salt to what you read. and I’ve always been able to say that the first two run in the same strong security sandbox while the last one runs in a weakened security sandbox and only after the user has explicitly granted the application the permission to do so having been warned ( using one of two dialogs depending on the application’s signature ) that the application could be malicious. 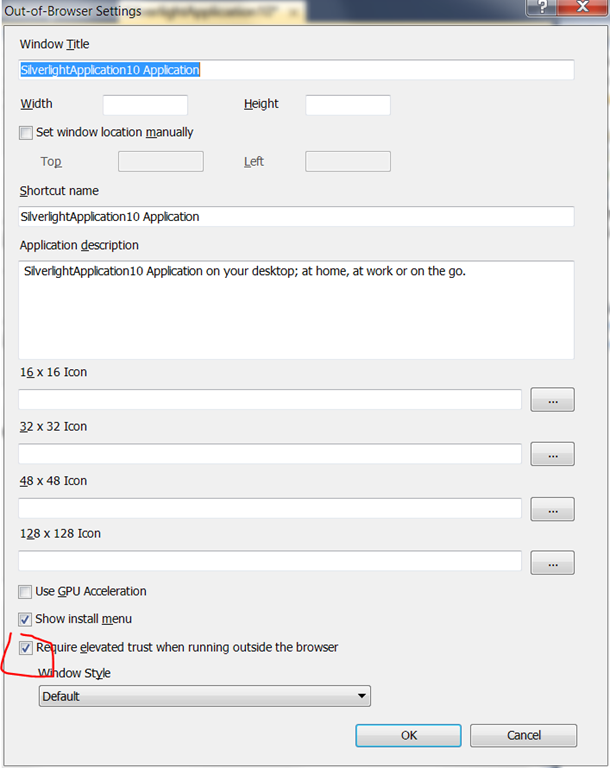 I then wondered how I would go about requesting elevated permissions for this application without specifying that it is an out-of-browser application but that’s not the route to take. 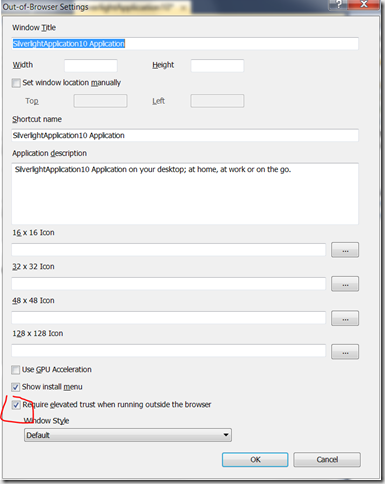 The route to take is to use the usual settings dialog in Visual Studio to mark the application as offering out-of-browser and requiring full trust. 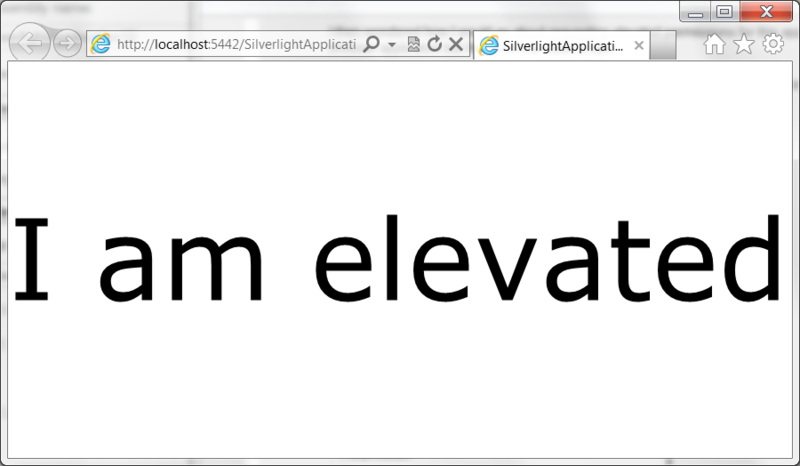 Great – ok, so a real app coming from a real web server is not going to be elevated by default. 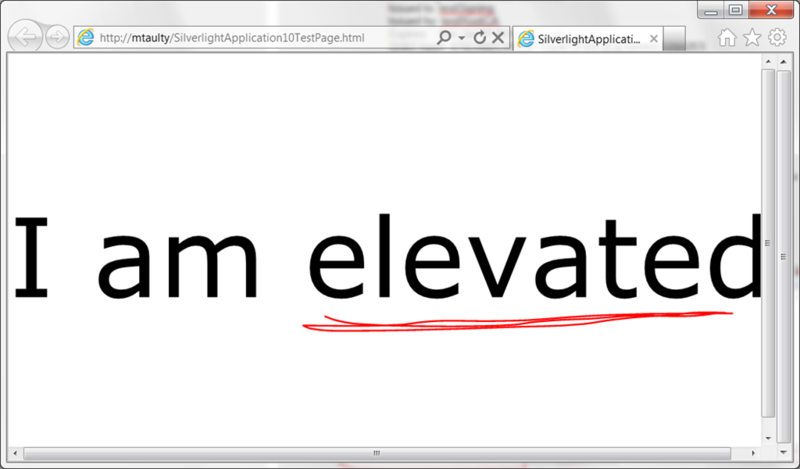 How does it then become elevated? It needs the XAP file to be signed with a certificate that is present in the Trusted Publishers certificate store. 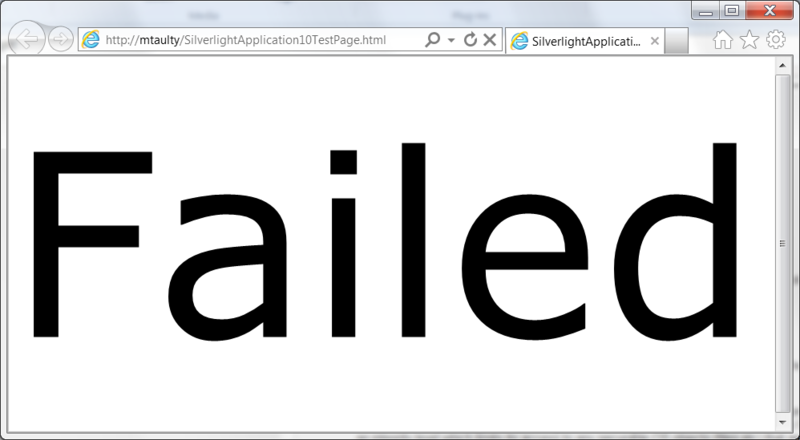 A registry key HKEY_LOCAL_MACHINE\SOFTWARE\Microsoft\Silverlight\AllowElevatedTrustAppsInBrowser needs to be set to a value of 1 in order to allow this to work (NB: I don’t know at the time of writing how this translates to OS X). I found on my machine that the registry key mentioned in step (2) wasn’t present on my machine. 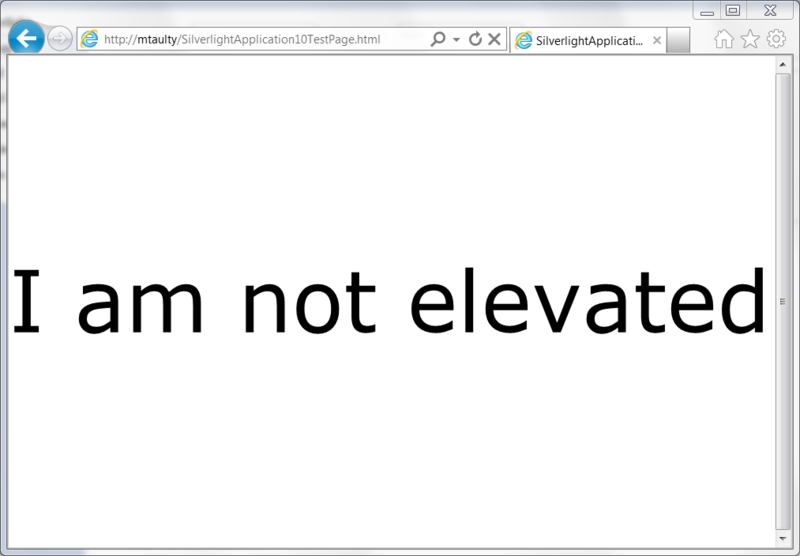 So, walking through this from start to finish, how can I get my new application to run elevated in browser? The first thing I did was to make my own signing certificate. Of course, you should really go and buy one but I didn’t want to incur the cost just for this blog post. and then I opened up MMC and went to the CurrentUser\Trusted Root Certification Authorities store and I imported my testRootCA.cer file into that store. There’s probably a command line flag that would avoid this step. and that command line is installing that certificate into the personal store and it should be trusted because it chains up to the testRootCA. But I need to make sure that my signing certificate is also in my CurrentUser\Trusted Publishers store so I go back to MMC and import that certificate into that store (my file is called testSigning.cer). which I might want to use as a post-build step in Visual Studio but, anyway, my XAP file is now signed. and so there we have an elevated application running in the browser based on a registry setting and a signature for the XAP file that builds a trust relationship between the publisher and the installer of the XAP. 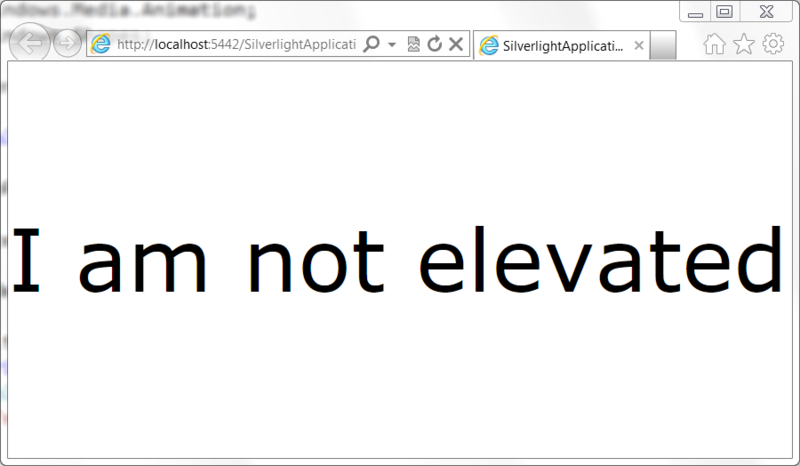 It’s worth remembering that even though the Silverlight application is now trusted in the browser, it doesn’t mean that it can go beyond the reach of the browser itself. One aspect would be around Internet Explorer’s Protected Mode. 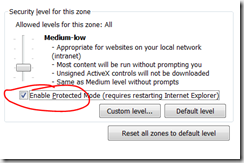 This has been in operation since IE7 and is well documented here and takes advantages of operating system changes that came in with Windows Vista whereby a process can be assigned an integrity level which limits its access to any securable OS objects (files etc) that are stamped with a higher integrity level. 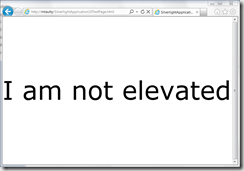 and so it’s worth being aware that “elevated” might not always mean “elevated” – there is an element of control here that remains with the browser process. Beyond that, I think you should be able to do “whatever you like” and I certainly was surprised to have my in-browser application pop up a NotificationWindow just fine although I think there are still APIs which are the exclusive domain of the out-of-browser application such as Application.MainWindow and so on but that’s probably fairly intuitive.